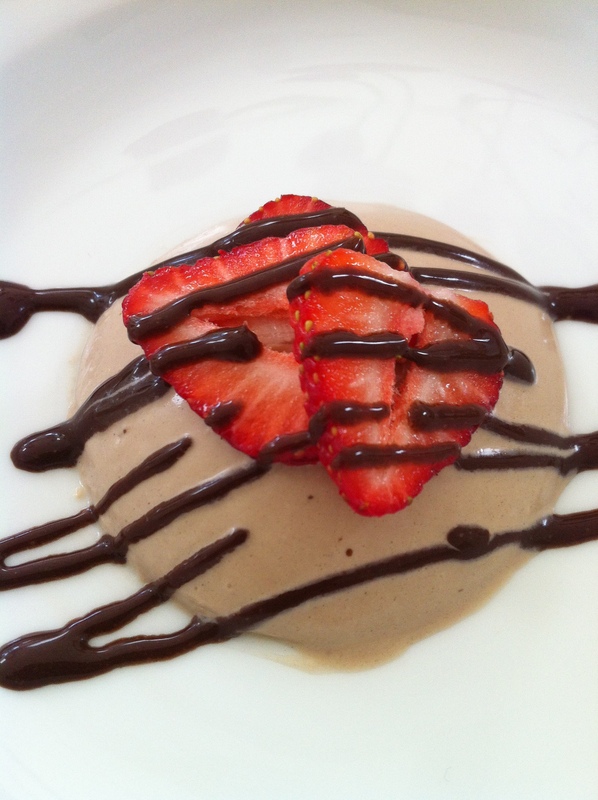 Chocolate Panna Cotta (Chocolate pudding) | what is clara eating today? Pour through a fine strainer into a bowl with a pour spout. Divide the mixture evenly among the ramekins and cool to room temperature. To serve, dip the ramekins one at a time into a bowl of hot water for about 5 seconds, then run a table knife around the edges of the custard and invert onto a chilled serving plate… or simply serve in the bowl you chilled in.